Tackling the Top Pies this 6 Nations! As England and Wales get ready to kick off the 6 Nations Rugby 2015, it's not just the players on the pitch getting a rating. Oh no! We couldn't let these two European heavyweights battle it out without some reference to their pie line ups! So here it is: our first 6 Nations Pie-Off! 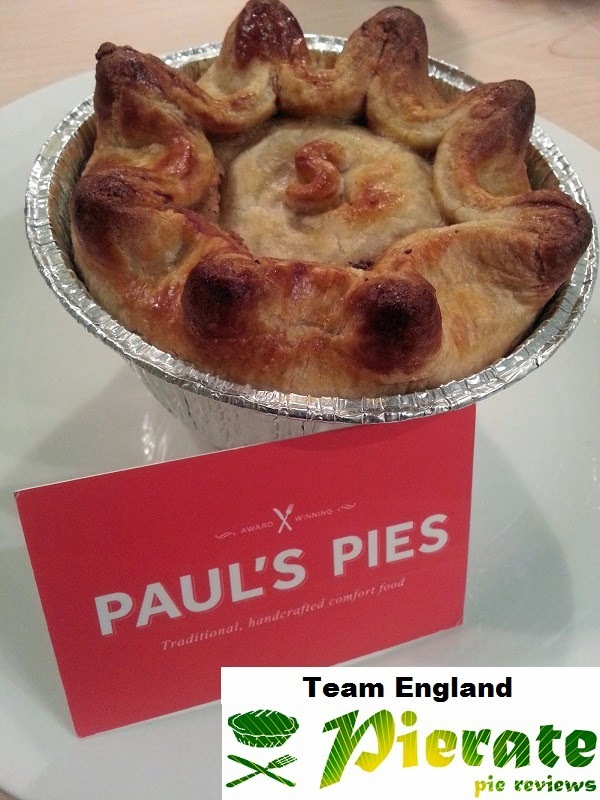 The 6 Nations Pie-Off idea is simple – a straight head-to-head between the top rated pies from England and Wales. One of the most recognisable songs sung at Wales rugby matches features the rousing refrain “Feed Me ‘Til I Want No More”. But would pie be on their menu? Sure, when you think of Welsh food it inevitably leads to thoughts of Welsh lamb, cheese and leeks. But there's certainly no reason why all those things couldn't be wrapped in pastry and sold as a good old Welsh pie! And we certainly haven't been disappointed with some of the pies we've had from Wales, with a number of them making the top 100 of our pie rankings. But how do they fare against the English? England, of course, need no pie introductions! After all, we made the pie famous. Think England and you think pie! One of the nation’s top dishes, pies are of course also synonymous when it comes to sports like rugby or football. Who can resist the half time pie?! We’ve rated over 480 pies so far, and the vast majority of them have been from England. And while there are sadly a few there that have let the side down, there are some pies with world class talent too, including our number one rated pie – Pauls’ Pies Steak and Guinness Pie. If you enjoyed this pie-off then we think you'll love looking back over our World Cup 2014 Pie Blog, which featured regular pie updates and banter throughout the Football World Cup last year! While the full details cannot yet be unveiled, last week Pierateer RAS was once again filmed by the BBC for an upcoming TV programme focused on - you guessed it - pies! The Jekyll and Hyde pub in Birmingham was the setting for the filming, which itself has sold the highest rated pie in Birmingham and was recently rated with another Pierate Recommended pie. You’ll be able to see Pierateer RAS on TV in March 2015. Of course we’ll let you know more when it airs! Until then, you can still see us on the BBC Sport website talking football pies! A Great British Award for Bake Off! Of course it's never too late to congratulate the Great British Bake Off for their recent win at the National Television Awards. The show has moved from BBC2 to BBC1 as a result of its successful viewing figures, no doubt enhanced by having a whole "Pie Week" episode. And not forgetting that 2014 also saw the start of the "Extra Slice" spin off show, which featured no less than Pierateer RAS and the Ship's Cook themselves, as we made our TV debut! It was an honour to have legendary chef Michel Roux Jnr rate our Crocodile Pie and - despite the comments not making the edit on the show - there were some very encouraging remarks about the Crocodile Pie pastry! Unsurprisingly that made it into our Top 6 Pie-lights of the year! The special British Bake Off Pie-Off we did - rating a Mary Berry and Paul Hollywood pie recipe - has also been hugely successful with almost 1,000 views! The people of Britain really do love baking pies!